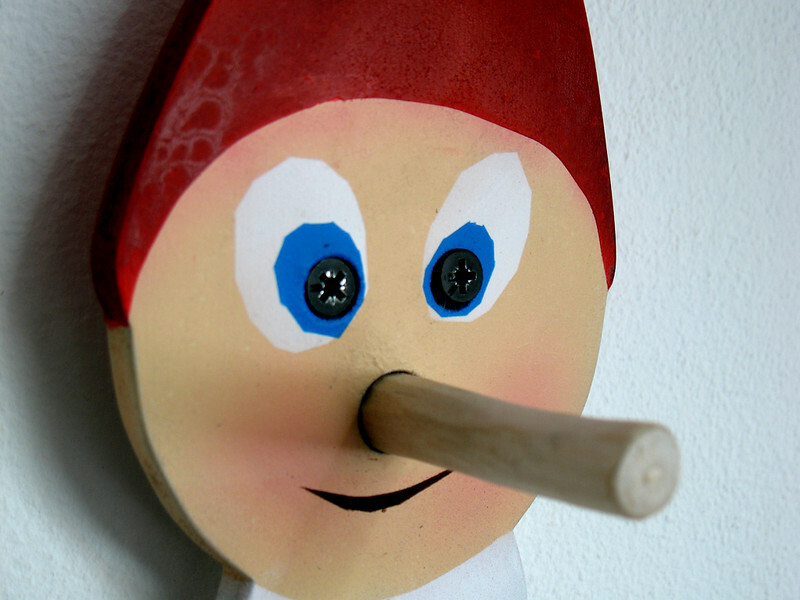 Thinking of what I could do with a tree branch coat rack, suddenly Pinocchio came to mind. Obvious really when you think of it. 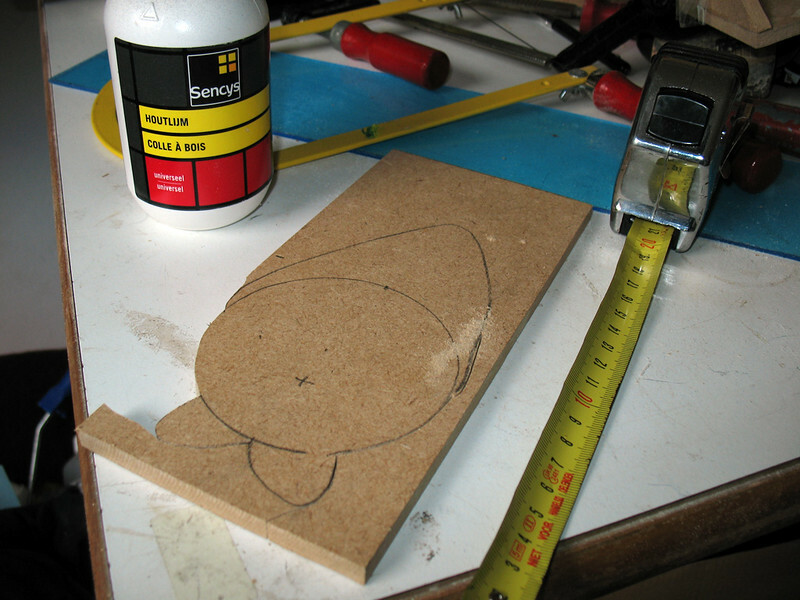 So I roughly sketched a Pinocchio head, purposefully avoiding the Disney resemblance. 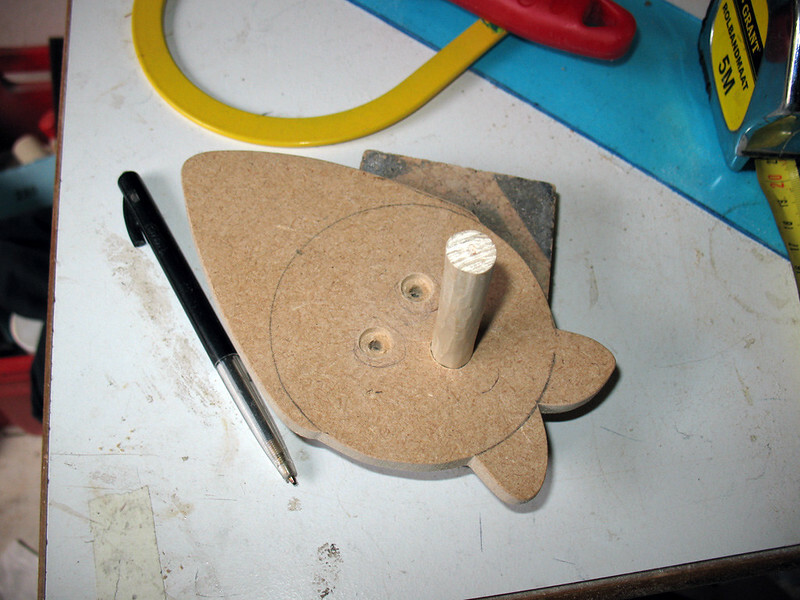 I then cut out the head shape and drilled holes for the nose and eyes. 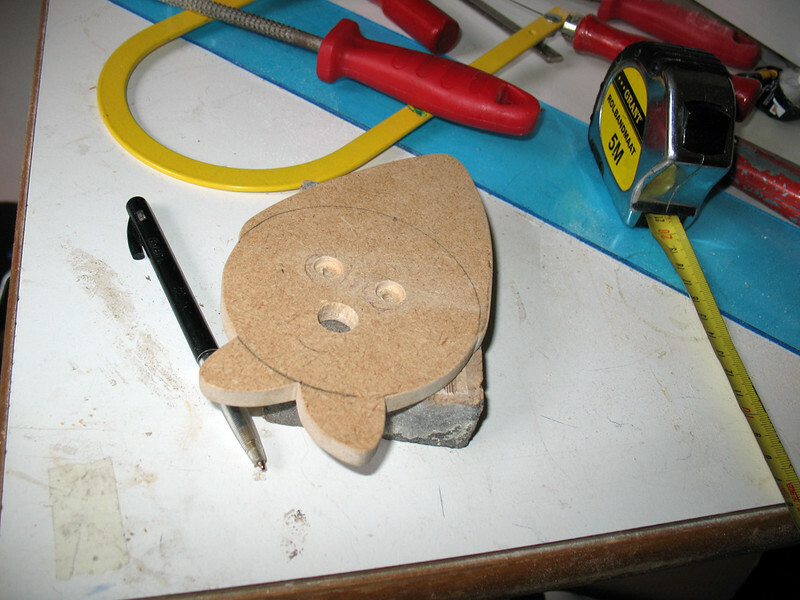 I decided the eyes would be perfect for the mounting screws so I recessed the holes a bit. 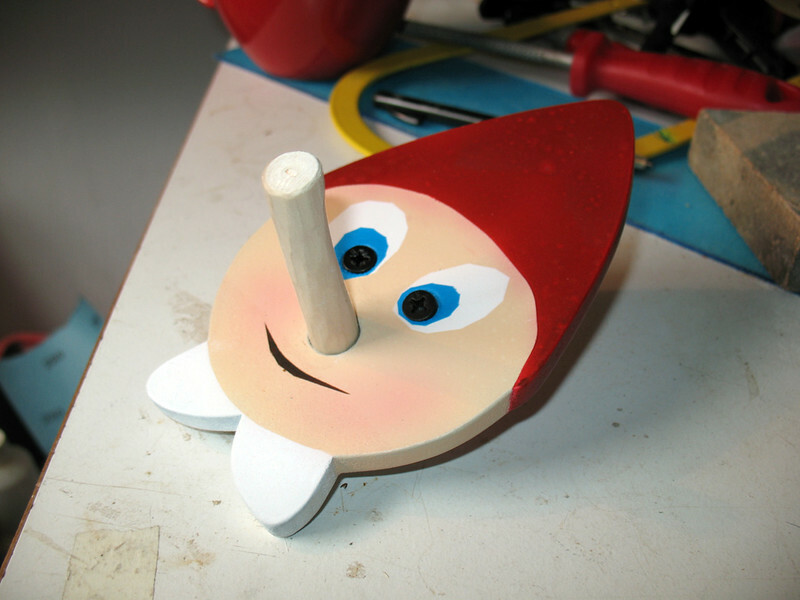 From the last coat rack I still had a piece of tree branch that I could use for the nose. Next up came painting. I decided to use acryllic paints with an airbrush. First primed the piece and then layer after layer of paint. Finally, sprayed the screws black and installed the nose (which has no paint on it). 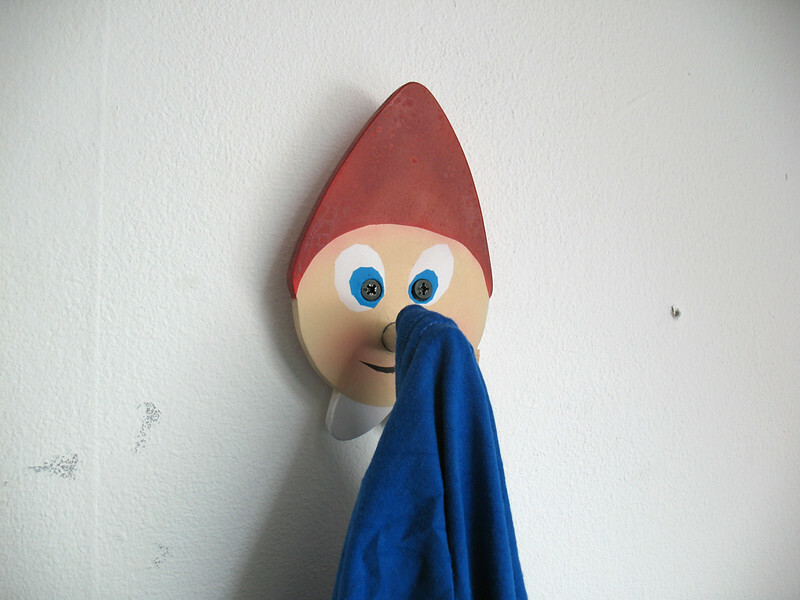 There you have it, a Pinocchio coat rack ready for a kid's bedroom.